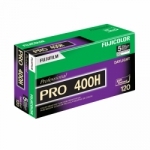 Fujicolor Pro 400H is a professional daylight type color negative film incorporating Fujifilm’s proprietary fourth color sensitive layer in addition to the conventional three RGB-sensitive layers. With its extremely useful high ISO speed rating of 400, PRO 400H provides faithful reproduction of neutral grays with sharply improved fidelity over a wide exposure range from under- to over- exposures. It produces superb skin tones with smoothly continuous gradation from the highlights to the shadows, and gives an excellent three-dimensional feeling in such details as fabrics and other textures. 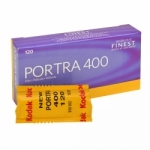 By incorporating the most advanced technologies, this film is able to meet a wide range of photographic needs, from portrait and wedding photography to commercial and fashion work. 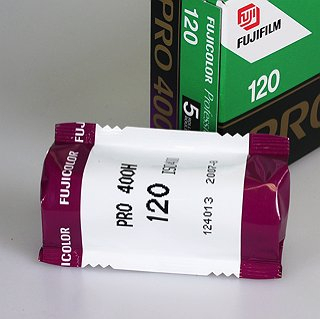 The further addition of single-channel printing results in uniform printing efficiency with other films in the Fujicolor Pro series.